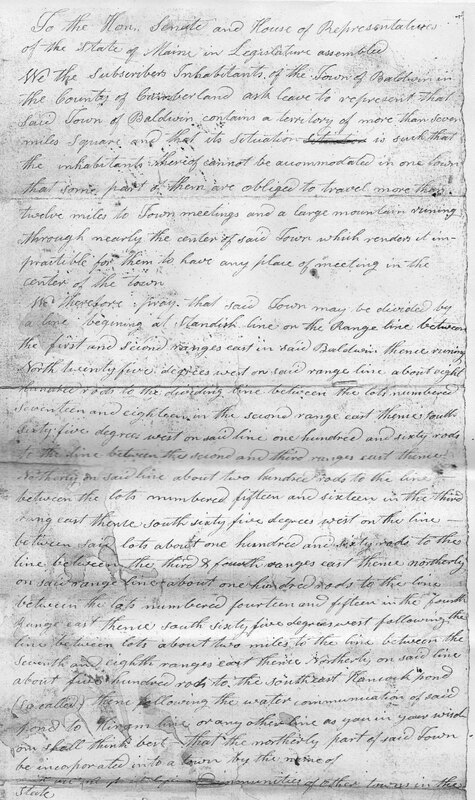 On October 31, 1825, five years after Maine separated from Massachusetts, seventy-five citizens on the Sebago side of Baldwin drafted a petition to separate from Baldwin and establish a new town. The petition was incorporated into an Act that was passed by the new Maine Legislature in January 1826 and signed by the governor on February 10, 1826. The list of those citizens, our founding fathers, contains names that have been prominent in Sebago history from the beginning, and continue today.